If only bodies were as easy as cars to look after. When there is a problem in the car a light appears on the dashboard telling you which system is faulty. Then we can take it to the garage where the mechanic will fix the problem. Even if there are no warning lights we still take it for an annual service. 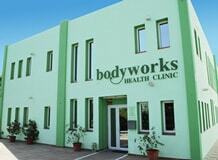 Now at Bodyworks we have developed an easy way to do the same for your body. A simple, painless review of all your body’s major systems to check that there are no warning lights without any invasive procedures or radiation. Using thermal imaging we can review your body from top to toe looking for issues and problems in major organs, muscles, nerves and arteries. Combining this with other innovative technology including the Cardiotrace and other non invasive testing procedures, we can give you a full and clear picture of your body. This can highlight any issues at a very early stage making any further treatment easier and more effective. Many of the current tests to assess organ health are invasive and uncomfortable. MRI scans can often make people feel claustrophobic, CT scans have very high levels of radiation, colonoscopies are uncomfortable and difficult . . . . The list goes on. If you have some concerns these have been the only options offered, which for minor issues or early stage problems are uncomfortable, expensive and potentially risky. Thermal imaging can detect organ dysfunction without any invasive tests, therefore if there is no serious issue you can avoid further, unnecessary testing procedures. Ultrasounds, CT scans and MRI scans give wonderful detail when you are looking at a small area. They give feedback on muscles, bones and other tissues. However if the area examined is not the area that is causing the problem you will not get clear answers. A common example of this is kidney problems causing back pain. As a patient it can be difficult to “feel” the difference, however a thermal imaging test can quickly and easily determine the true cause of the problem as it images a much larger area. So you get the appropriate treatment straight away. This includes early stroke indicators as well as overall heart health using the latest technology, Cardiotrace for easy and non invasive testing. This gives you a clear picture of any potential heart problems from a very early stage, allowing you to prevent more serious problems. Early indicators of respiratory conditions or other lung issues. This is also a very easy way to monitor your body’s recovery after you have stopped smoking. Problems from nerves can be particularly difficult to diagnose using other tests and to treat effectively. The pain often moves around the body and doesn’t appear to have a consistent or obvious trigger. Thermal imaging can easily determine the true cause of this discomfort. By looking at the entire body we can also determine if the true cause of your pain is coming from elsewhere in the body. This makes treatment more effective and eases your discomfort sooner. Bowel cancer is becoming far more common with one of the biggest issues being that by the time treatment is sought many patients have had the complaint for quite some time. People are often embarrassed by the symptoms and put off by the thought of uncomfortable and invasive tests. We offer an easy and painless alternative. Thermal imaging is a physiological test. This means that where an MRI, CT scan or X ray looks for a physical object, thermal imaging looks at activity levels within the body. Therefore conditions such as IBS which have no structural cause can be assessed by looking for physiological activity. Again this accurate diagnosis can allow you to get help quickly and easily without lots of further tests. The health of your immune system is linked to a range of issues from diabetes, chronic fatigue syndrome, fibromyalgia as well as hormonal health and thyroid issues. All of these can be assessed to help determine the cause of some of those more complex symptoms such as low energy levels, tiredness and other body changes. Thermal imaging is one of the only tests available to help in the diagnosis of Chronic Fatigue Syndrome and Fibromyalgia. We can also give you preliminary indications of hormone imbalances and gland dysfunction, for instance over or underactive thyroid. As thermal imaging is painless, non invasive and presents no risk to the patient it is very useful for monitoring progress after operations. Where other tests rely on contact or radioactivity thermal imaging does not and is therefore safe for all patients no matter how tender the area or how soon after a procedure. With no radiation or other harmful effects we can monitor progress through a course of treatment or the effects of any lifestyle changes or medication. This is also especially useful in determining how effective medication is through a course of treatment. This includes monitoring during chemo and radiotherapy. Mammograms, MRI scans and Ultrasound are all structural tests, this means that an object must be large enough to show up. This can mean that a tumor has been growing for over 5 years. Because Thermal imaging looks at physiological changes this allows us to detect changes much earlier. And without pain or radiation. All of these major systems will be reviewed using the latest technology available to give you a full and clear picture of your health easily, quickly and painlessly. You receive a full copy of all your results in a clear and easy to understand format. Our experienced practitioners will review this with you to make sure you understand the results and answer any questions you may have. Again and again we have stressed the importance of early detection of any health issues. The earlier problems are detected the easier and more successful any treatment will be. All the tests used in the Full Body Check Up look for early warning signs to allow you to make easy changes keeping you healthy for longer. Please contact us if you have any questions regarding the screening process or to book an appointment.